Good news for cruise passengers and cruise lines but bad news for those locals who have been trying to stop large cruise ships sailing passed central parts of the Italian city. 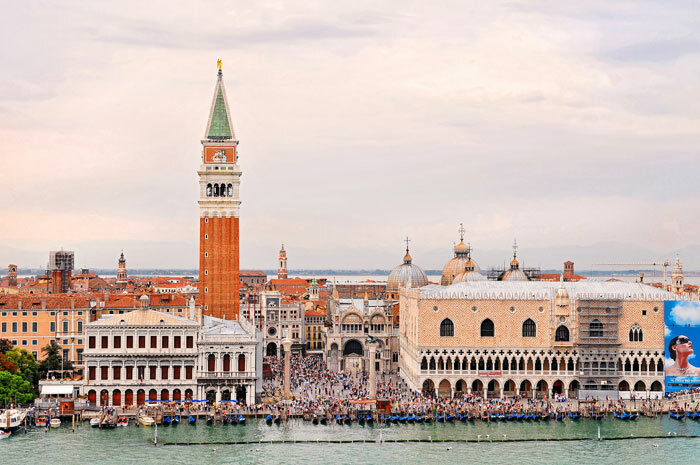 The Seatrade Insider is reporting that appeals mainly headed by the Venice Passenger Terminal (VPT) have been successful and large cruise ship 96,000 gross tons and over are no longer banned from the historic city. The decree which began on January 1st 2015 was ordered by the Venice Coast Guard that was announced on December 9th 2014. There has been much attention with large vessels getting too close to the shore line specifically St Marks square. locals have been angered along with the possibility of cruise ships damaging the fragile boundaries of the Venice. There is already an order to limit smaller cruise ships from 40,000 gross tons sailing through the Venice’s Giudecca Channel which is near the central part of the city. There is not expected to be an immediate impact as cruise lines are working with Italian authorities on a long-term solution. The new Cortorta Sant’Angelo Channel project is in the works which could solve the issues and allow vessels back to the central parts.